As per the current rates for 2019, lowest home loan top up rate is 8.9% and personal loan top up rate starts from 11.25%. Similarly, if you are applying for top up on personal loans, you may apply with one of these banks namely Axis Bank, ICICI Bank, HDFC Bank as they offer personal loans at interest rates starting from 11.25%. Avail a top up on your current home loan or personal loan online to get the best special offers and discounts. You require urgent funds to meet your personal requirements. You require immediate funds for your business expansion, marriage expenses, vacation etc. You would prefer to take long tenure funds at low interest rates. You already have an existing home loan, personal loan and property loan on which you have paid a stipulated number of EMIs. You want to get a loan with minimal and no documentation. Based on a comparison of home loan top up interest rates of all banks in India, the interest rates on top ups on home loan are in the range of 8.9% to 11.8%. The top up rates are closely linked to the loan tenure and interest rate on the home loan already availed from the bank. Based on a comparison of top up personal loan rates of all banks in India, the interest rates on top-ups on personal loans are in the range of 11.25%. Personal loan top up rates are extension loans that can be availed at the same rate at which the existing personal loan was availed, subject to prevailing market conditions. You can avail a top up loan if you have an existing and running loan from a bank and the bank is willing to give you an additional loan on your existing loan as you have already repaid a certain portion of the loan and made all the payments in a timely manner. You can apply for a top up loan from your existing lender or opt to apply for a balance transfer loan with top-up loan which means you shift your loan to a new bank and avail a top up loan on your existing loan. In either case, you can apply to the new bank after a minimum repayment track record of minimum 1 year of your existing home loan and upon possession or completion of the financed property. While you avail a top up on your ongoing home loan or a personal loan, undoubtedly you remain in confusion about its repayment option meaning what pattern does it will follow while paying back the loan. In case you avail a top up on your current loan, you have to pay a single combined EMI for the existing loan as well as for the additional top-up taken on your present loan. Most of the financial institutions and leading NBFCs consider recalculating your top up loan EMI that you would be paying against your existing amount for the remaining tenure and the top up amount you have availed. Lowest EMI per lakh for home loan top up is Rs. 772 for 30 years. Loan Amount: Loan top up loan can be availed if you have an existing home loan. You can get top up either from the existing bank or can transfer your loan to other bank. Your top up amount depends upon the value of the property mortgaged and income of the customer. Top up loan amount being offered plus outstanding home loan amount should not exceed 70% of the market value of the property or top up amount should within the limits specified by bank’s policy and it may vary from bank to bank. Loan Tenure: Top up on home loan can be taken for a tenure upto 30 years depending upon the remaining period of your existing loan. Tax Benefit: Tax benefit on top up loan can be availed under section 24 only if the top up is taken for home renovation or home extension. Other purposes are not liable for any tax exemption. Processing fees on home loan top ups: You are liable to pay processing fee and other charges on home loan top up until and unless there is any special offer of nil processing fee in the bank. These charges may vary bank to bank. Interest rate on SBI Home Loan Top Up is 9.00% to 11.05%. Interest rate on HDFC Home Loan Top Up is 8.90% to 9.15%. Interest rate on Axis Bank Home Loan Top Up is 8.90% to 9.10%. Interest rate on ICICI Home Loan Top up is 9.05% to 9.20%. Income of the borrower and ability to pay EMI’s - The total EMI burden should typically not exceed 65% of the net monthly income of the borrower. Longer tenures available on top up loans help lower EMI’s and result in higher loan amount eligibility. Value of the property mortgaged – Banks typically lend upto 80% of the market value of the house at the time of sanctioning home loan. Over a period of time, the loan gets partially paid down with each EMI, outstanding loan amount reduces. Thus, the effective loan-to-value (LTV) tends to reduce over time. Thus, the bank is able to offer you an additional amount on the security of the same property while still maintaining a comfortable LTV ratio. To explain it with an illustration, let us assume that you took a home loan of Rs. 40 lakh for 20 years at 10% when the property value was Rs 50 lakh. Say, you have been paying regular EMI’s of Rs. 38,600/- per month for last 3 years. So, the principal outstanding after 3 years is Rs. 37,80,000/-. Further, over this period, assume that the market value of the property has grown at rate of inflation to Rs. 62 lakh. Thus, the LTV is down from 80% at the time of taking the home loan to 61% now. So, subject to income based eligibility, you can take a top up loan of upto Rs. 12 lakhs now. This money can be used for home renovation, buying another property, vacation, medical purpose, education, marriages or any other non speculative use. Interest rate: Top up on personal loan can be availed if you have an existing personal loan. You can obtain top up either from the existing bank at existing loan rate or transfer your loan to other bank. You can get top up after 3 months of existing loan disbursement at the rates similar to the existing personal loan rates of 11.25% to 24%. Loan amount: Most banks give top up of minimum Rs. 1 Lakh after paying 3 EMIs of existing loan. HDFC Bank top up loan can be taken if your existing loan is from HDFC or you want to tansfer your loan to HDFC. Bank gives top up on personal loan at the rate similar to you existing rate on personal loan. Interest charged by HDFC on top up personal loan is 11.25% to 20%. Top up on personal loan can be taken from SBI as the interest on top up is same to the personal loan rates. The rates on top up from SBI are 12.5% to 16.6%. Top ur rates in ICICI Bank are similar to the existing rates of personal loan depending upon the offer in the market and the company you are working for. Current top up rates in ICICI are 11.25% to 22%. You can apply for top up personal loan in Axis Bank if you have existing loan from Axis or you are opting for balance transfer. The top up loan rates offered to you are 11.25% to 24%. If new bank is offering low rate of interest than your existing bank then you should opt for balance transfer and top up otherwise apply for top up with your existing bank. Banks offer lower interest rates same as home loan and personal loan on top up loan when availed with balance transfer of home loan and personal loan from another banks. 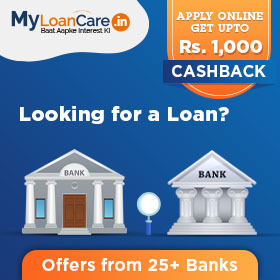 So, it is advisable to check the top up loans interest rates with your existing bank and in case your bank doesn’t offer you the same rate, simply avail balance transfer of your loan through MyLoanCare and avail top up at normal loan rates.